Shantanu Narayen at the Google I/O event held on June 27, 2012. 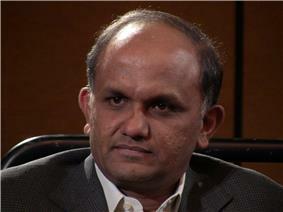 Shantanu Narayen is the CEO of Adobe Systems. Prior to this post, he held the role as the President and Chief Operating Officer since 2005. 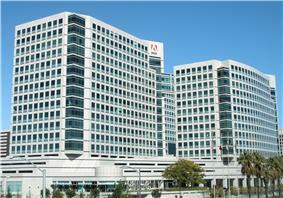 He is also the President of the board of the Adobe Foundation. He grew up in Hyderabad, India, the second son of a mother who taught American literature and a father who ran a plastics company. He went to Hyderabad Public School in Hyderabad. Narayen holds a Bachelor of Science in electronics engineering from Osmania University in India, a Master of Business Administration from the University of California, Berkeley, and a Master of Science in computer science from Bowling Green State University in Bowling Green, Ohio. He started his career at Apple. After Apple, Narayen served as director of desktop and collaboration products for Silicon Graphics, then co-founded Pictra Inc., a company that pioneered the concept of digital photo sharing over the Internet. In 2009, Mr. Narayen was considered one of "The TopGun CEOs" by Brendan Wood International, an advisory agency. In 2011, US President Barack Obama has appointed Shantanu Narayen, President and CEO of Adobe Systems, as a member of his Management Advisory Board. PMAB was established by an Executive Order in April 2010 to advise on how to implement best business practices on matters related to Federal Government management and operation focusing on productivity, the application of technology and customer service. ^ "Ubiquitous Upside - Forbes.com". Forbes. 2008-06-16. Archived from the original on 2012-09-18. 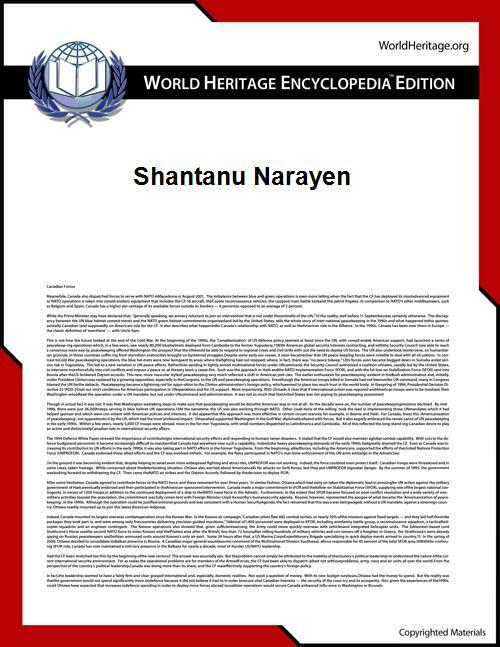 ^ "Shantanu Narayen: Executive Profile & Biography".